Truth about ANNIE MAE PICTOU - AQUASH and Wounded Knee 1972-1975 event; and about ALL other victims of that event. This petition has been created by Kat D. and may not represent the views of the Avaaz community. Dennis Banks, Russell Means, Leonard Peltier. 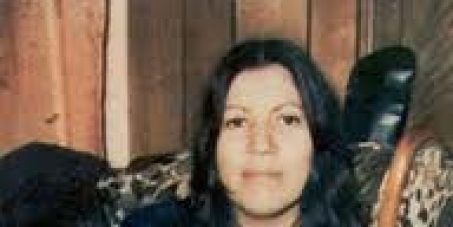 REMEMBERING ANNIE MAE PICTOU - AQUASH, WHO SHE WAS AND WHAT SHE STOOD FOR. To know Annie Mae Pictou - Aquash and her story - is to finally show, know, understand and honor what SHE stood for and the injustices she suffered in life and in death. To PREVENT, to avoid similar injustice and suffering in future. For all the nations and people, men and women - for HUMAN. To this we dedicate this petition, also to help next generations of indigenous and non- indigenous people know what TRULY happened and started for indigenous people of America during Wounded Knee 1975 incident/ event. Annie Mae Pictou Aquash, a member of the Mi'kmaq Nation from Nova Scotia, Canada, was more than just a Native rights activist during the 1970's. She was example the true meaning of word "Warrior" and for what a proud Native Warrior shall stand for. Annie Mae joined the American Indian Movement for those reasons. She believed their intentions were honorable - that they stood for everything she herself stood for. She traveled in the early 1970s' to South Dakota to participate in taking a stand to defend and to fight for the rights of indigenous people, First Nations; for those who couldn't help themselves. Believing this is the right thing to do. But the deeper she got involved with AIM and the more she learned the truth about American Indian Movement leaders - and their choices and decision, their betrayal of OWN people - fearlessly she began to question the integrity of the group and how women and grassroots people were being treated. Because she questioned the actions and morality of a few individuals - it was decided that she no longer needed to have a voice and did not deserve the right to live. Her dedication and ability to stand strong in the face of adversity eventually would lead to her execution. In the last few days of her life Annie Mae suffered indignities no human being or woman should ever have to suffer. Yet, even until the end she fought for all that she believed in. Sadly, some of those people that she used to believed in, she treated as warriors - didn't believe in her and as a result to protect themselves, they took her life. A.I.M. kidnapped her, A.I.M. raped her, they shot her down in execution style - the back of the head - as she prayed for her children. Then they left her to die in the frozen plains of South Dakota...and in fact id had very little to do with rumors about F.B.I. threatening her. Maybe Annie Mae's murderers have walked free for over three decades - but truth is closing in, many been convicted; many confessed or confirmed things A.I.M. wanted to keep in secret.
" But what is denied does exist and eventually comes to the surface, just as any truth will eventually surface, despite acts to hide it." While A.I.M. may be responsible for taking her life - Annie Mae's Spirit carries on. Warrior she was - and still is, always will be - for many indigenous people and those who heard her TRUE story . PLEASE - SIGN and help us to make this change for indigenous nations of America - to know their true story about history , to make those who called themselves leaders - to TELL THE TRUTH. Not confess, admit, not deny or give excuses, make false stories. Just simply tell the truth.
" Single grain of rice can tip the scale..."